In this guide, I will explain nine (9) things you need to know about domestic violence laws1. 5. Can The Victim Be Subpoenaed To Testify? In California, special rules apply when dealing with a domestic violence crime. Domestic violence can consist of stalking, threatening, abandoning, damaging the property of or inflicting some kind of physical injury on the victim. California law does distinguish between certain types of domestic violence. What is Penal Code 273.5 PC? California Penal Code Section 273.5 pc2 which is the most commonly charged domestic violence related charge deals with corporal injury to an individual who is or who once was an intimate partner of the accused. This penal code section can be filed as a misdemeanor or a felony. Some women and men who are accused of domestic violence are actually victims of domestic violence. They either were acting in self-defense, set up entirely, or the victim of ongoing abuse that prompted a violent act in response. Unfortunately, our domestic violence response system is not perfect and tends to make arrest and investigatory decisions based upon superficial factors. What Factors Cause A Domestic Violence Arrest? Who had the greater apparent physical injury. Sometimes gender bias plays a role. Many abusers know how to work the domestic violence response system to their advantage. Its quite common for someone to call the police hoping to calm a situation down such as a heated argument and somebody getting arrested for domestic violence. says criminal defense attorney Diana Aizman. To be convicted of penal code 273.5 pc, the DA has to prove each element of the offense by the standard of proof beyond a reasonable doubt. What Are The Elements of PC 273.5? Which causes a traumatic condition5 in the intimate partner. Did the Act or Injury Substantially Lead to the Traumatic Condition? You may have intended to strike your spouse or dating partner but not necessarily to cause the person to suffer an unintended injury. Regardless, it is your direct physical act that was the cause or was a substantial cause of the traumatic condition6 suffered by your spouse or dating partner. Was the Act Intentional and a Natural and Probable Consequence? If you pushed your intimate partner down and the person fell and broke his or her arm or even sprained an ankle, your act was a substantial factor7 that led to the injury. 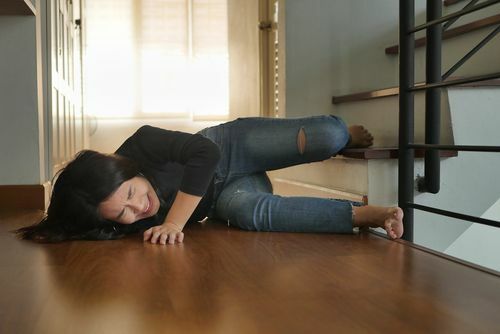 It may not have been your intention to break the person’s arm or to suffer a sprained ankle, but your act of pushing was intentional and a natural and probable consequence8 that resulted in the traumatic condition. Who Is Considered An “Intimate Partner” Under PC 273.5? The offender’s fiancé or fiancée, or someone with whom the offender has, or previously had, an engagement or dating relationship9. 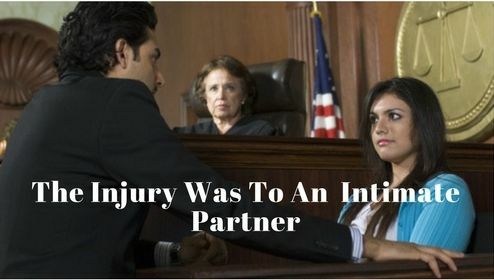 You must have intended to harm your intimate partner or you will not have committed this particular crime. For instance, an argument can result in unintended consequences such as accidentally shoving the victim when angrily leaving the room and the individual falls and sustains a concussion. 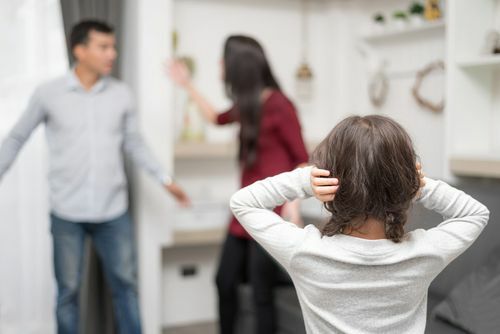 It is not uncommon for defendants to be falsely accused by angry spouses or intimate partners of inflicting injuries that either did not occur or that were inflicted by someone else or in an accident. 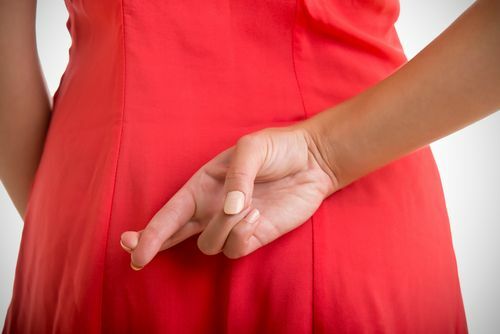 If police cannot detect inaccuracies or contradictions in many of these instances, your attorney may be able to expose a fabricated allegation. In numerous crimes of violence, a defendant will assert the affirmative defense of self-defense, or that the defendant had to use physical or even deadly force to protect himself from imminent physical harm. Prosecution under PC 273.5 may appear to be fairly simple if there is a clearly visible injury to an intimate partner of the defendant who alleges the defendant inflicted it and who either has a history of domestic violence or there are witnesses. But many domestic violence crimes only occur in the presence of the victim and the defendant and if victims either recant their testimony or refuse to testify, what can the DA do? Can The Victim Be Subpoenaed To Testify? 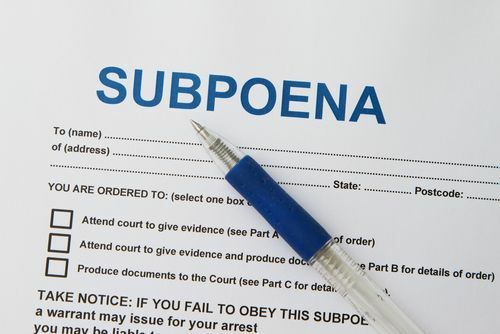 A reluctant victim can be forced into court to testify by being served with a subpoena and must testify truthfully or face possible perjury charges or contempt of court if the person fails to appear. 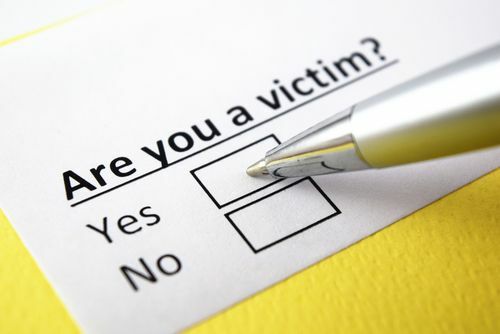 A prosecutor can try to elicit testimony by asking the victim if he/she has been threatened by the defendant to not testify or is being manipulated. Domestic violence under PC 273.5 is a wobbler offense, allowing the DA discretion to charge you with ether a misdemeanor or a felony. This also allows the court to reduce a felony under this section to a misdemeanor or for your attorney to negotiate it down if you are charged with felony domestic violence. How Does The Prosecutor Decide If You Will Be Charged With A Misdemeanor Or Felony? Whether you are charged with a misdemeanor or felony will depend on the nature or seriousness of the traumatic condition and/or your criminal history. Note: AB 3129 increases the firearms prohibition for those convicted of misdemeanor domestic violence in violation of Pen Code §273.5 from 10 years to life. The lifetime prohibition only applies to those convicted on or after January 1, 2019. The following crimes are considered lesser included offenses for domestic violence. A conviction for domestic violence can lead to serious immigration consequences. These consquences include the possiblity of deportation for non-U.S. citizens18. Additionally domestic violence can be a crime of moral turpitude. Will A Prior Conviction For Domestic Violence Increase The Penalties? 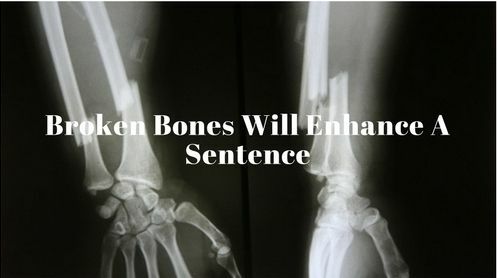 A prior conviction in many instances will enhance a sentence for the present offense. If you were convicted of domestic battery within 7 years of your conviction for domestic violence, your fine can increase to $10,00019. Are There Mandatory Miniumums For A Prior Conviction? The court will impose a mandatory minimum 15-day jail sentence if you have a prior conviction within 7 years of the current conviction and a 60-day minimum jail sentence if you have had 2 or more prior convictions within 7 years20. Is There A Penalty Enhancement For Great Bodily Injury? Should the injury you inflicted have been serious, or which fits within the definition of “great bodily injury,” then you face an added 3 to 5 years for a felony conviction. Can You Receive A Strike For Great Bodily Injury? You also face receiving a strike pursuant to California’s 3-Strikes law if you inflicted great bodily injury on an intimate partner. If you are convicted of a subsequent offense that is a violent or serious felony, your sentence will be doubled. What Happens If You Already Have One Strike On Your Record? If you have a strike and are convicted under PC 273.5, you face up to 10 years in state prison. What Happens If Its Your Third Strike? If you receive a third strike for a violent or serious felony, you face a sentence of 25 years to life. Can You Be Charged With Child Endangerment And DV? If a child is involved and you physically harm a spouse or the parent of the child or other intimate partner in the child’s presence24, then you face the prospect of a charge of child endangerment under PC 273a. The DA would have to prove that you placed the child in danger or at risk of great bodily injury or death. This might include attacking the intimate partner with a firearm or using some kind of dangerous weapon with the child in close proximity. This is a misdemeanor but it becomes a wobbler offense if the child was placed in danger of suffering serious injury so that the DA can charge you with a felony. If the intimate partner who was physically harmed was at least 65 years of age, then you may face an additional charge of Elder Abuse. This offense is usually alleged against caretakers or nursing home facilities or individuals who swindle or embezzle elders. Elder abuse is a wobbler offense if charged and convicted as a felony, you face 2, 3 or 4 years in state prison and a fine of up to $6000. There are options for a defense attorney or a DA to offer in a plea agreement if the evidence is weak, the victim is wavering as to whether to testify or there are other circumstances where a jury might not convict a defendant of domestic violence. Domestic battery under PC 243(e)(1) is a misdemeanor offense that carries a maximum sentence of one year in county jail and/or a fine up to $200025. No visible injury need be shown or proved to get a conviction. A slap on the face or a push to the floor is sufficient. In cases where the DA has little to no proof that any injury or any contact was even made, or where the victim states that no violence occurred, a charge of Disturbing the Peace under PC 415 may be a last resort. Examples can be fighting in a bar or on the street, shouting obscenities or threats to someone in public or disturbing other tenants or residents in the area from your conduct. It is a misdemeanor but only carries a maximum county jail sentence of 90 days. It can also be charged as an infraction, which is not a criminal offense. A conviction under PC 415 is not a deportable offense. Expungement of your criminal conviction under PC 273.5 is possible if you were convicted of a misdemeanor or otherwise did not serve time in state prison, a factor that will render your conviction ineligible for expungement relief. A felony in California under this code section, however, provides for state prison time. Under Penal Code 1203.4, you may petition the court to expunge your misdemeanor conviction for corporal domestic violence. It is always desirable to seek an expungement since your conviction will not appear on a public database should anyone conduct a criminal background check, including landlords or private employers. Will An Expungement Remove Everything? 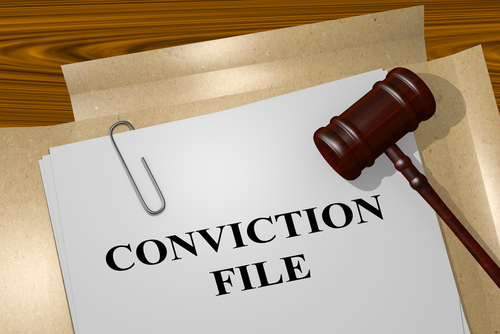 An expungement does not result in the complete eradication of your conviction record. It remains accessible to persons considering you for public employment as well as to law enforcement and court personnel for sentence enhancement if you commit a subsequent felony offense. Another major benefit of obtaining an expungement is that it enables you to state on any employment application or rental application, even under oath, that you were never convicted of a crime. A probation violation does not necessarily render your conviction ineligible so long as you did not commit a serious misdemeanor or a felony offense. 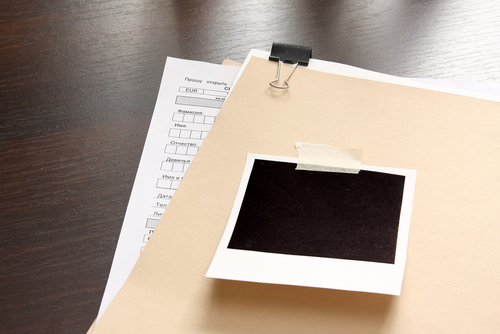 A court will review your overall criminal record and your need for the expungement order. Representation in these circumstances requires an intense multifaceted approach that will include many of the steps taken in any domestic violence defense but will also include gathering information from other sources. Proper representation against domestic violence charges, California and beyond is important. The first step for a defendant should be attempting to educate and persuade the prosecutor as to the true facts of the situation. Many good prosecutors will pay close attention to evidence that the defendant is actually a victim. This is where relationships play a very important role. Former prosecutors who now practice criminal defense will usually have the relationships necessary to obtain the ear of the prosecutor in your case. The attorneys at the Aizman Law Firm have those relationships. We know who to speak with and how to speak with them. When we speak, people listen. Who Presses Charges The Prosecutor Or Victim? 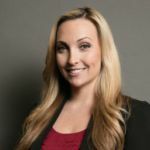 If you have been arrested for domestic violence and would like to learn more about what attorneys charge. If you are ready to discuss a pending domestic violence case with an attorney contact the Aizman Law Firm at 818-351-9555 for a free confidential consultation. A natural and probable consequence is one that a reasonable person would know is likely to happen if nothing unusual intervenes.